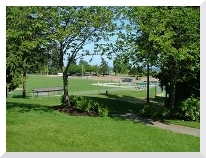 For use of the sports fields, lacrosse box and tennis courts, contact Regional District of Nanaimo’s Recreation & Parks Department at fieldbooking@rdn.bc.ca. Copies of the City's Special Events Policy and relevant application forms may be obtained from the operations department at 1116 Herring Gull Way, from City Hall at 100 Jensen Avenue East or download the policy and forms below. Applications for events to be held in 2019 are now being accepted and the review process will begin following the January 31, 2019, deadline. As per policy, where conflicting dates occur, annual events will be given priority provided the request is received no later than the January 31 deadline, after which date the application will be addressed on the same basis as first-time events. First-time events will be handled on a first come, first served basis depending on venue availability. Special event applications received after January 31 must be submitted at least 30 days prior to the event date and will be subject to the same terms and conditions as those applications received prior to January 31, 2019.